Android 4.4 — nicknamed KitKat — is the 10th major version of Android. For devices running vanilla Android (such as Google's Nexus line) it was the most significant change to the look and feel of the OS since 2011's Ice Cream Sandwich release. 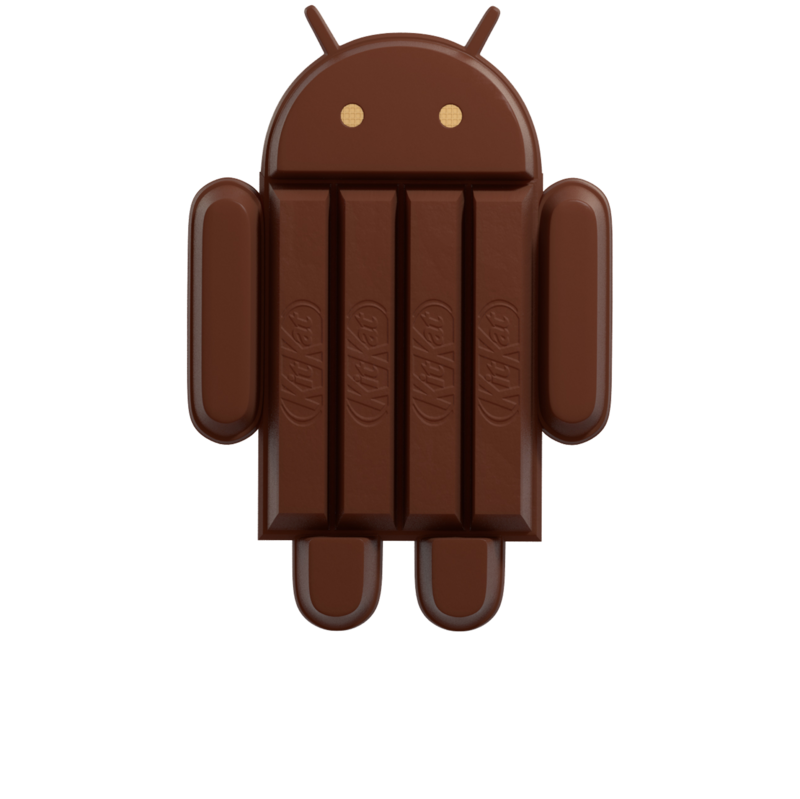 Android 4.4 was announced in September 2013 with the unveiling of an oversized Android KitKat statue outside Google's Building 44 in Mountain View, and a promotional tie-in with candy maker Nestle. But it wasn't until October of that year that we learned exactly what was new in this Android version. The first device to ship with Android 4.4 was the LG-made Nexus 5, launched alongside KitKat and available from the day of announcement. The Nexus 4, 2012 and 2013 Nexus 7s and the Nexus 10 were all updated in the following weeks, along with Google Play edition devices. In early 2014 some third-party devices, such as the Moto X and developer edition HTC One, had already been updated to KitKat — at the same time, new devices began to ship with KitKat throughout the first quarter of the year. Throughout most of its development Android 4.4 was known internally at Google as "Key Lime Pie," however this unofficial nickname was dropped after the Nestle tie-in. Android 4.4 KitKat was followed by 5.0 Lollipop in late 2014.